Awhile ago, I decided to get in touch with an amazing brand that I’ve seen afew times on social media (and my amazing friend love Soph’s blog!) and I’m so excited to have received one of the boxes myself to try! I’ve gotten really into sheet masks and Ive spent a good bit buying them all individually but this box is such a price saver! Pretty much they’re a monthly subscription box that come at the end of every month, full of around 8-10 korean sheet masks and sometimes other skincare products for you to try, this is the glow setter box! 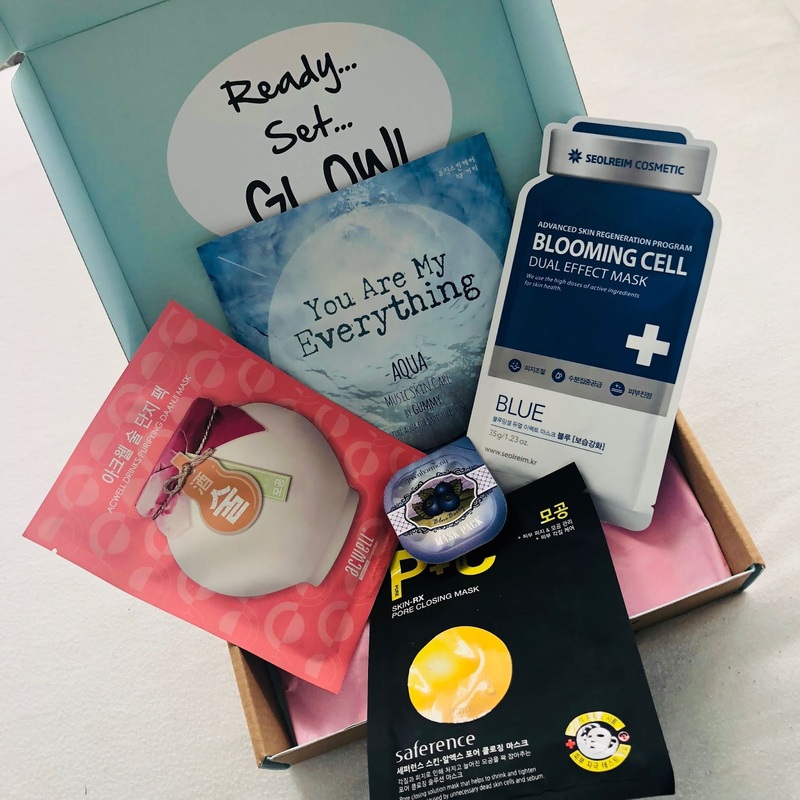 Personally I love subscription boxes as they’re so exciting, It’s like a present as it’s completely full of new products and you can try them all for such an affordable price. 1 box could possibly last me 2-3 months as I use a mixture of sheet and clay masks. I don’t think you can go wrong with them and if you’re a skincare lover like me - this is a godsend! Another amazing perk I think of this brand is you can buy past months boxes too! I’ve never seen this before and I think that’s a good idea. But if you don’t want a big box, they do a smaller of their glow setter monthly box called the glow starter which is £9.95 for 4 sheet masks. I know this may be life practical for people and this is the box I received from the brand. Another box they offer is if you’ve certain problems with your skin, you can get the S.O.S boxes which are centred all around targeting skin problems, for £15 which is a steal. If you wanna fight combination skin, dehydration or oily skin then this will help! One thing I love about the box already is their is a information leaflet in the box telling you all about the masks and the current month’s themes, but a original, unique touch is every month has a new Korean word included on it to learn! As well as being able to buy whichever masks you love singular, I think this is such an amazing and certainly underrated subscription box. Did any more information on the subscription boxes or prices, the best place to go is their website - https://www.masktime.co.uk/ (get 10% off your first box with ‘first10’ too which makes it even more affordable!) Now we’ve gone over all the background, it’s time to get into the exciting part, talking about the masks! a clay mask pot. I love how the masks all target a variety of skin problems & skin types, this is great depending on what my skin’s doing at the minute as it’s pretty much changing ever week due to the season change. The first mask I tried was the Acwell drunk purifying daanji mask. Starting I noticed the fit was so good for mr face and it had a soft subtle scent about it which I like. Once I had taken it off, I instantly noticed how my skin felt softer, looks dewy and redness on my face had really calmed. Overall the morning after my skin feels so soft, looks dewy and is noticeably clear! from reading the information sheet it did everything it said to do I’m extremely impressed and happy with this first mask. The next mask I tried was the Saference skin RX life closing mask next. On first impressions, this is the worst fitting sheet mask I’ve never used! It’s too big for my face and due to the slimy texture of the mask it’s sliding off which is annoying. 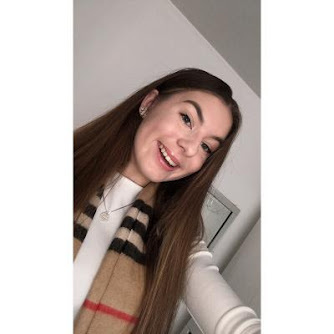 But once I took it off, my skin felt fresh and like it worked - my pores did look noticeably smaller and barely there so results were instant and I hope they last. My skin has a brightness and glow about it which was well needed to help m look alive. This mask has worked so well and I love having no pores for once I wish it was long term! change since the mask didn’t target that. I love the effect it has instantly and I hope it lasts. I’m having a big breakout at the minute so the mask I choose is then Blooming cell dual effect mask blue. I love the fit of the thick material on my face and it feels so full of the liquid which I can tell will give my skin a treat! I never noticed a smell which will appeal to so many pro. I noticed how my skin is feeling so glowy, soft and hydrated. But in the morning my spots just looked calmer - they hadn’t cleared but they were slot calmer and there was no more new ones. This is a big plus and I’d love to use this agsin. I’m so happy with everything in the box as it’s all got different purposes and they’re customised so they’re perfect for autumn! I know as my skin is adjusting to the season I’m going to be needing these. The last mask I need to try is the Daycell x gummy you are my everything aqua mask. This is a mask to hydrate my skin and with this cold I need it! The smell of the mask was amazing - it wasn’t too strong or too light so it was relaxing. The mask fit my face well and was fine on, it helped my skin so much I instantly noticed it once I took it. For a few days after the effects stayed so I’d love to try this again! Other then this being one of the longest posts I think I’ve written on my blog, I’m finally finished. 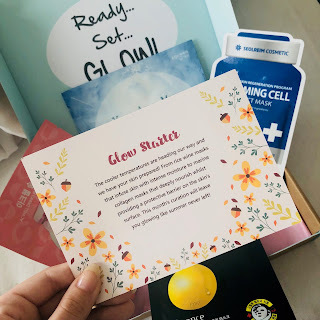 I’m so happy & greatful that mask time even wanted to send their subscription box out to me, I really think this is something everyone needs in their life. I love the idea of subscription boxes and considering this comes with more products then they normally do, I think this is well worth your money if you’re looking to try / get more sheet masks! I love sheet masks so this sounds perfect to me. I love that you have the option to buy past boxes too. Oh, I love a good mask, how perfect that there is a subscription box for it! I love how it gives advice for which to use for each problem too. I've only used the odd sheet mask, so I may need to start getting into them more! Omg omg omg, you have no idea how excited this makes me! I tried Birchbox and I liked it, but I found I was discarding/not using a lot of the samples they get, and I love sheet masks and kbeauty so a subscription box for that is right up my street! This is something different! I didn't know you could get face mask subscription boxes. I love how many you receive in a box, that could last me a couple of weeks perfect until the next one. Thanks for a great review! This is a really cute subscription box, I like the touch of learning a new Korean word with each box too! darn it wish i was back in the UK so i could get a box. love a good sheet mask. thanks for the well written review tho!! This is so cool! I'm obsessed with masks. They're a great way to feel like you're pampering yourself, and it's so much fun to try new ones. I wonder if there's a similar service in the US, because this sounds amazing. Ugh I am such a skincare junkie. Even though I have some tried-and-true favorites, I love trying new things... especially face masks, so this sounds like something I would like. Omg this subscription box looks so cute! I have been seeing so many things were different Korean skin products and that it works really well for the people that I have tried it and I really want some for myself! I think I would love to try the Saference skin RX because I feel like I have large pores and I could really benefit from that haha �� I'm really glad to see that it's a nice and affordable price for a subscription box, and that you can buy previous ones! thank you for sharing!